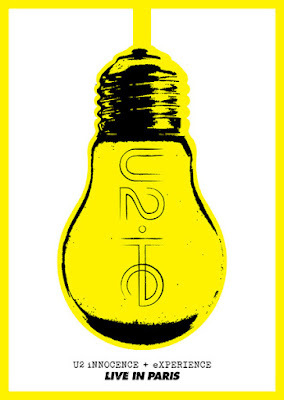 U2 will release their concert film, “Innocence + Experience Live In Paris”, on Blu-ray, DVD and digital download on June 10. 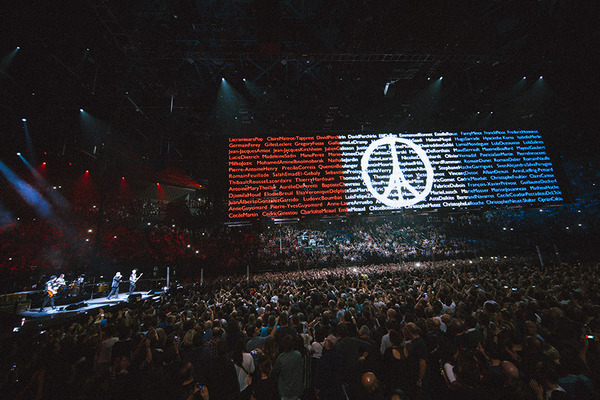 The project captures the band as it returned to the French capital in December for rescheduled performances following the November 13 terrorist attacks in the city by religious extremists. Directed by Hamish Hamilton, the film presents the HBO live broadcast from the Accorhotels Arena in Bercy on December 7. "Directing Innocence + Experience was scary," says Hamilton. "A technical nightmare married with a creative rollercoaster. It challenged everything I knew on so many levels. What blew my mind were the multiple narrative arcs combined with the number of emotional arcs you are taken through as you journey through the show. There's a lot of good shows out there - but very few great shows." The final performance of U2’s Innocence + Experience 2015 world tour saw the group welcome The Eagles Of Death Metal on stage to perform for the first time since the attacks that resulted in 89 deaths during their concert at The Bataclan. "They were robbed of their stage three weeks ago, so we'd like to offer them ours tonight," Bono told the crowd before the pairing launched into a cover of Patti Smith's "People Have The Power." “Innocence + Experience Live In Paris” will be available in multiple versions, including standard, a Deluxe edition with bonus material, and a Super Deluxe Box that adds an exclusive USB lightbulb, a 64-Page hardback book, dog tags, stencil set, pin badges and a special code to download the video of the entire show.